The Crimea has its first football champion, now that Sevastopol has won the first championship on the peninsula after a 6-2 win against a club from small town Gvardeyskoye, which is perhaps most famous for its Russian airforce base. The tournament, which started in April, was a prelude to the new independent Crimea Football League that is scheduled to begin play in August. According to the Russian press service TASS, the football federations of the Crimea and Sevastopol have named eight participants who are to take part in the first Crimean Football League: Tavriya Simferopol, FK Sevastopol, Rubin Yalta, FC Bakhchisaray, FC Yevpatoriya, Kafa Theodosius, Okean Kerch, and Titan Armyansk. All matches will be shown for free online, and on local television. The Crimean based journalist Denis Trubetskoy, in an article for the German weekly magazine Der Spiegel, has written that six out of the eight clubs will receive financial help from the Russian sport ministry in Moscow, as they would not be able to survive on their own. Only two clubs, current champion FK Sevastopol and Tavriya Simferopol, are considered financially independent from Russia’s sport ministry. Understandably, while Ukraine is not opposed to a Crimean Football League, the Football Federation of Ukraine has indicated that they would veto any participation of Crimean clubs in international competitions such as the Europa League, or the UEFA Champions League. This makes it even more difficult for Crimean clubs to generate currency, as they are not able to supplement their finances through international competitions. Under these circumstances the financial future of even Simferopol and Sevastopol could also be jeopardized. In addition, even though the FFU has not actively fought the establishment of an independent Crimean Football League, its leadership has now indicated that they are planning to resurrect Tavriya Simferopol in the Ukrainian city of Kherson. The establishment of a second club which uses the name and the colors of Tavriya could lead to a legal battle over the jurisdiction of the club trademark, and thus could further jeopardize Tavriya’s future on the peninsula. Question marks remain as Crimean football officials press ahead with the organisation of the competition. First and foremost, it remains doubtful whether the arrival of star coaches such as Kanchelskis, and free broadcasts of games will be enough to win the hearts and minds of the Crimean football fans. 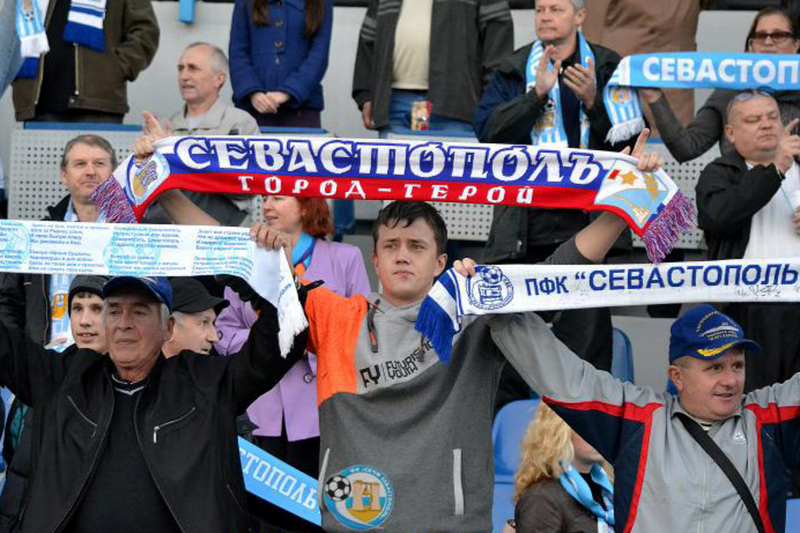 As Denis Trubetskoy has explained in Der Spiegel: people living on the Crimea may not miss Ukraine, but they certainly miss the Ukrainian Premier League.